Everyday I'm hustling...so the song goes. But some days you just want to relive those really awesome days. Here's one way: have your bridal bouquet recreated in silk flowers! That's what Whitney did! When Whitney contacted me, she was so newly married that she still had her bouquet drying out in a vase! As the flowers had gotten a little wilty, it was difficult to really see the beautiful shape of what she walked down the aisle with. We decided to wait a little longer until her professional photos came back and I had a much clearer picture (pun intended) of what her bouquet really looked like. 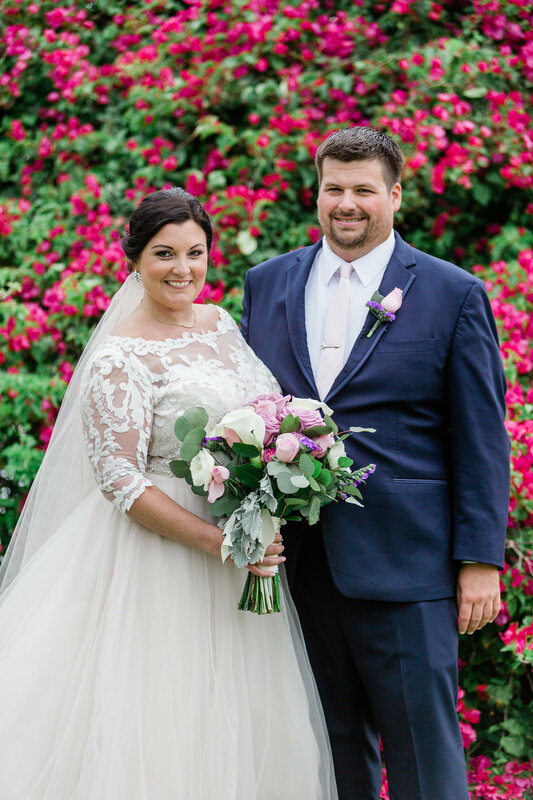 Here's our happy couple, compliments of Jillian Joseph Photography. 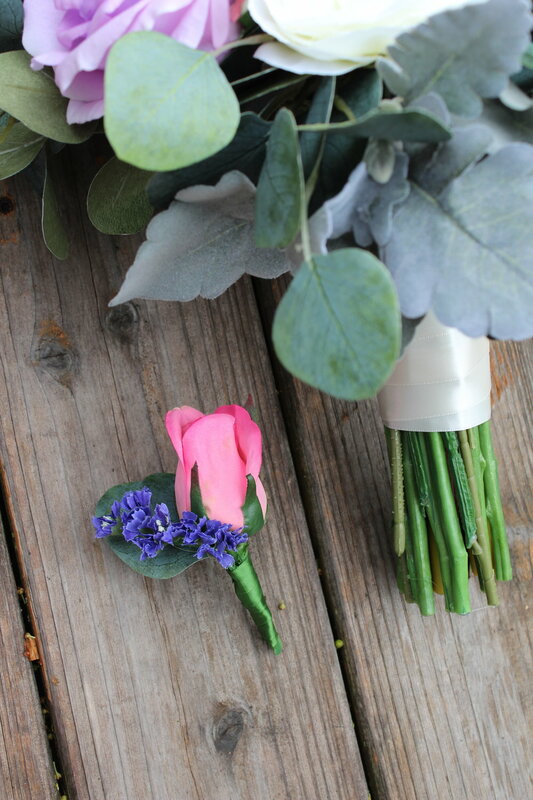 Whitney also wanted her groom's boutonniere recreated which was an easy addition to the order. Thanks again to Whitney for allowing me to help her relive out such an awesome day. 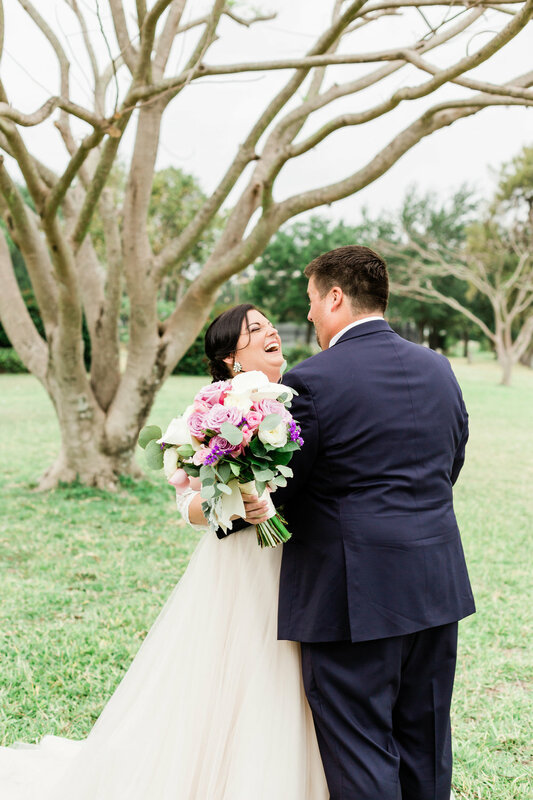 If you want to perpetually gasp in awe at how awes-some your wedding was, maybe a bridal bouquet recreation in silk flowers is just the thing you need! Get in touch with me today to find out how!